The Volvo XC40 has won big yet again. Following its win as the What Car? Car of the Year for 2018 in January, a jury of 60 professional car experts from 23 countries that form the European Car of the Year award has crowned the XC40 the 2018 winner. The ceremony, held before the opening of the Geneva Motor Show, was hotly contested with the likes of the Alfa Romeo Stelvio, Audi A8, BMW 5 Series, Citroen C3 Aircross, Kia Stinger and Seat Ibiza all in contention. The Volvo XC40 secured 325 points to run away with the award, with the Seat Ibiza in second place scoring 242 points and the BMW 5 Series hot on its wheels with 226 votes. 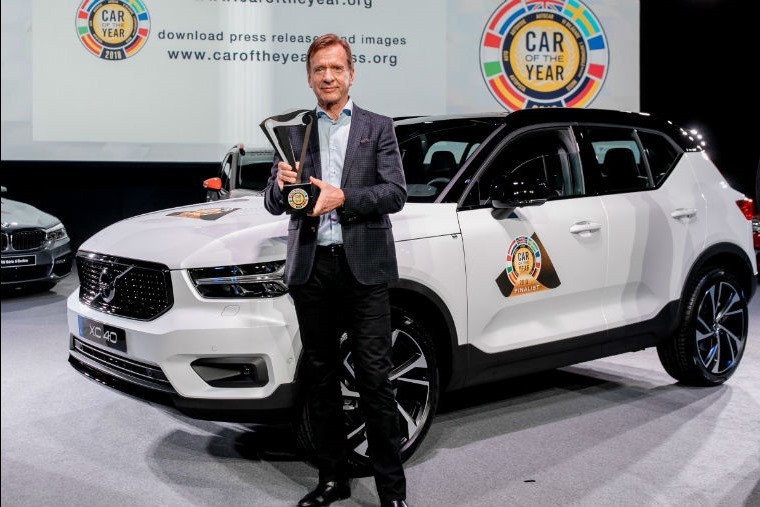 “Winning this award with our new XC40 is perfect timing,” said Håkan Samuelsson, president and CEO of Volvo Cars. The XC40 is the first model on Volvo’s new compact modular vehicle architecture (CMA), which will underpin all upcoming cars in the 40 Series, including fully electrified vehicles. The XC40 is also the first Volvo to come with a car-sharing feature, enabled via Volvo’s digital key technology and its connected services platform ‘Volvo On Call’. Owners can simply share their car with family and friends without having to hand over a physical key. In another first, the XC40 was used to launch Volvo’s new subscription service ‘Care by Volvo’ which offers car access via a monthly flat-fee subscription rather than ownership. Care by Volvo makes having a car as transparent, easy and hassle free as having a phone.